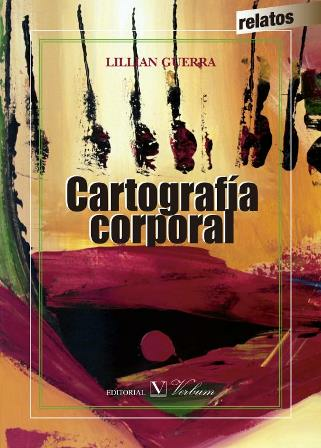 In the prologue to Lillian Guerra's book of short stories, Cartografía corporal, literary critic Madeline Cámara writes: "I feel in [these] stories the freshness of someone who tells stories because she wants to establish a dialogue with the reader and uses more than one narrative voice for them; an author who manages lively dialogues and plays with colloquial language. Skillful in tracing two protagonic characters, Azucena and Lucía, who alternate intelligently and, almost without the reader's realization, give an organic character to the ensemble of the stories, as if the book grew with them. Lastly, her special facility to create environments is undeniable. But saying this would not do total justice to the book. We should add its eroticism, without taking over the work's tone and language, a woman's voice that reveals itself and rebels through eroticism, a feature that Roberto González Echevarría had already referred to in his prologue to a book of poems by the author, Cimarrona; the moments of innocence, through which the protagonic characters insist on telling stories that make transparent the human, cultural, and political background; and finally, a bordering vocation that seeks to qualify the experience of exile by presenting 'the foreign soil' as a complex nation of different cultures where each State will force a new reinvention of the exile's identity." Lillian Guerra is Professor of Cuban and Caribbean History at the University of Florida. She has published three collections of Spanish-language poetry, including Cimarrona (2013). She is also the author of numerous academic articles and three books: Visions of Power in Cuba: Revolution, Redemption, and Resistance, 1959–1971 (2012, winner of the 2014 LASA Bryce Wood Book Award); The Myth of José Martí: Conflicting Nationalisms in Early Twentieth-Century Cuba (2005); and Popular Expression and National Identity in Puerto Rico (1998). This event is free and open to the public. It will be held in Spanish.